The first extra-ticket night of 2009 took place last Friday, 9th October, with three more Not-So-Scary parties still to come on the 16th, 23rd and 27th. The nights give guests special access to Disneyland Park from 8pm to 11pm for exclusive entertainment, character meet ‘n’ greets and far more attractions than in 2008. Last year confined to Fantasyland, the party has spread in 2009 to include Frontierland, as far as Big Thunder Mountain and Phantom Manor, plus Pirates of the Caribbean in Adventureland. Main Street, U.S.A. and Central Plaza also now play a role, whilst the tally of attractions open in Fantasyland now stands at seven — including Peter Pan’s Flight and “it’s a small world”. If reports from the first party are anything to go by, the queues — particularly outside of Fantasyland — are definitely on the light side. Kaleo on Disney Central Plaza forum, for example, notes a wait of just 5 minutes posted at Big Thunder for the entire party, although these events do grow in attendance as we get closer to Halloween itself. Last year’s Merlin and the Witch Academy show returns at the Castle Courtyard for three performances at 20:30, 21:30 and 22:30, whilst Fantasy Festival Stage hosts regular performances of its Winnie the Pooh and Friends, Too show, just the same as the daytime version. This lengthy 20-minute spectacle has a pleasingly large (for Paris) cast of dancers and characters, as Mickey arrives in his purple Halloween suit to enjoy a “Not-so-scary” night amongst his Disney friends. From Snow White to Belle, to a surprising (but very welcome and fitting) focus on The Hunchback of Notre Dame, the first half of the show sees a medley of relatively peaceful song and dance numbers. But, you’ve guessed what’s coming — Maleficent. Bursting up through the stage, just like her appearance in It’s Party Time… with Mickey and Friends during the day, she speaks live — and in English!! — to tell Mickey that Halloween should be scary. And then, we see the show again — from the Villains’ point of view, with the relevant villain theme songs and characters for each of the films just presented. Happening twice each night during the events, at 9pm and 10pm, the show makes great use of a number of investments made around the area in recent years — the high-powered spotlights either side of the Castle, the new stage lifts and the on-stage pyrotechnic effects installed just this month. Though the numbers involved might restrict such a wish, this is probably the kind of thing we should have had every night during Halloween, rather than the small “cameo” within the regular Central Plaza show. It at least gives us much more hope for the now-firework-free finale of the separate Disney’s Halloween Party on 31st October. Aside from the music, taken from Walt Disney World’s Disney Villains Mix and Mingle event, and a few extra characters, there’s little done to put a Halloween stamp on the regular Walt Disney Studios Park parade. It’s a unique chance to see the cars filing down Main Street, but probably not “special” enough for a special party night. However, being given a few more free packets of Haribo — now the official “treats” of Halloween in Disneyland Paris, and handed out after each event during the party — when the cavalcade stops on Town Square, probably sweetens (sorry) the deal, right? Well, it helps. For only their second year, Mickey’s Not-So-Scary Halloween Parties have really grown up. • Buy your tickets for the Halloween Party Nights at www.disneylandparis.com! Looks great! Im really looking forward to experiancing it for myself! It is good that this event has been enhanced but publicity needs to be improved and positioned around resort much earlyer e.g. August for October. Also as the event gets more Guests maybe they can look towards a new Halloween Parade with extra elements such as different characters and special effects that can be utilised during the Nighttime Events. Discounts need to be offered for early purchase of tickets of around 10-15% or extra freebies offered. There should also be Dinner and event tickets set up in a few key Restaurants. 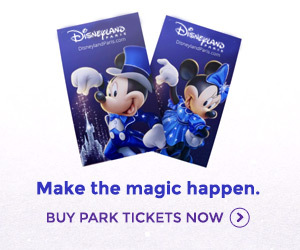 Seems like they are going to do the same as Florida : Halloween shows and parade only for the guests who pay more (the tickets for the parties). I think it’s sad, I like the way Halloween used to be, amazing for every one !